Rumana Ahmed came across women's cricket for the first time at the age of 16, reading in her local newspaper about Bangladesh Women's exploits against Malaysia in the 2007 Asia Cup. "From my childhood I saw a lot of great cricket matches between India, Pakistan and Bangladesh," she recalls. "After watching those matches I had a dream that one day I would play for my country. I realised then there was a woman's team and I was so happy to read about them. "Men's and women's cricket are different in our country. Girls cricket did not do very well and was not important when I started, nobody liked to watch the women play. "I faced a lot of challenges at the beginning of my career but I took them on because if I felt if a man could play cricket, why couldn't a woman?" Ahmed was required to complete her formal education before contemplating playing cricket and it was not until 2008, just before she turned 18, that her mother accepted her daughter's dream. Facilities for training and playing women's cricket are severely limited in Bangladesh and though she had only been playing cricket for three years, the leg-spinner was selected to play for her country in 2011. Such is her talent, with bat and ball, Ahmed was one of eight players to be sent to last year's Women's Big Bash League in Australia through the ICC's Rookie Placement Program to be shown how elite clubs train, mix and play professional domestic cricket. "I remember when I got my national dress (Bangladesh team kit) for the first time how excited I felt that I would be doing something for my country," Ahmed says. "It was a very exciting time to be playing for the national side. "When I was in Australia for a month it was a big experience for me. The cricket cultures between our two countries are very different and it was great for me go. "I did a lot of practice sessions and the coaches helped me improve with things - like where my bowling foot lands. "At that time there were matches being played so I got to see a lot Big Bash games. From those I learnt a lot of things by having the opportunity to watch." It proved to be an experience that helped craft and mastermind Bangladesh's biggest victory - as they won the 2018 Asia Cup; their maiden international title. 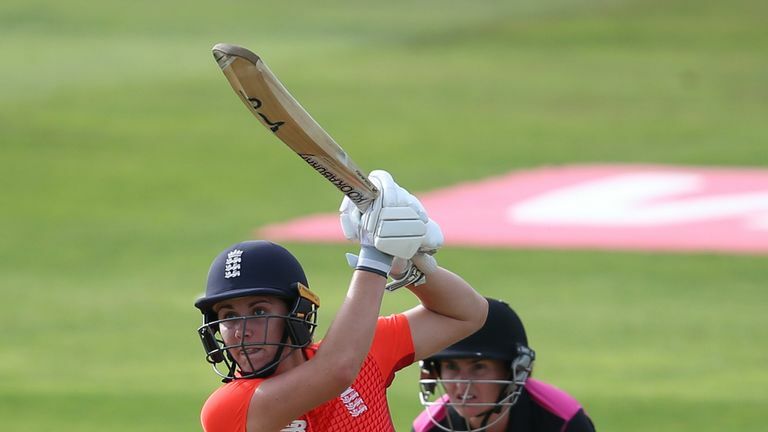 It was a tournament that saw them beat Pakistan and India in the six-team group stages, before pulling off a shock final-ball victory over Harmanpreet Kaur's side in the final. "After winning the Asia Cup, the Bangladesh Cricket Board (BCB) decided to increase our salary," she says. "We have a better cricket environment now and a lot has improved after the Asia Cup victory. "We have had professional contracts since 2012 and they have been improving but it is not as high as teams like India, England, Australia. "We know after winning the Asia Cup every team that has watched us play knows our country is developing and improving." Ahmed and her team-mates' impressive exploits in the Asia Cup, which saw them win five out their six matches in total, are even more remarkable when you account for the fact that they played no competitive international matches between December 2016 and February 2018. There was an 18-month break between the 2016 T20 Asia Cup that they competed in and a three-match T20 series they played against South Africa in May of this year - just two weeks before this year's Asia Cup. Ranked No 9 in the world, Bangladesh's exposure to playing the top teams is limited to ICC tournaments, such as the World T20 and World Cup - if they are able to qualify for them - with Ahmed having never played a competitive match against Australia or New Zealand in her seven-year career. It is unlikely that the all-rounder will face either of those sides in the upcoming World T20, with Bangladesh in England's group, alongside Windies, Sri Lanka and South Africa. But Ahmed believes it is in the ICC's interests to provide more matches for Bangladesh against the top teams if they are going to help them grow. "We're ninth in the rankings and the ICC need to look after us," she said. "We don't play a lot of cricket and when we do it is mostly against teams like Ireland. "India, Australia, England, New Zealand all play a lot of cricket but we need the ICC's care. "Our preparation has gone really well but our practice matches are against Pakistan and Ireland and that is not good enough for us because we have played against them a lot. "Winning and losing in this tournament does not matter for us, what's important is improving and showing that. We're capable of beating the big teams because of how far we have come."